The one product that is pretty non existent from my beauty routine is hand cream. I have never managed to find a hand cream that I've been happy with, I tend to find that they are quite greasy and takes ages to soak into the skin. However I've recently been using L'Occitane's Vanilla Bouquet Hand Cream and I'm really pleased with it. 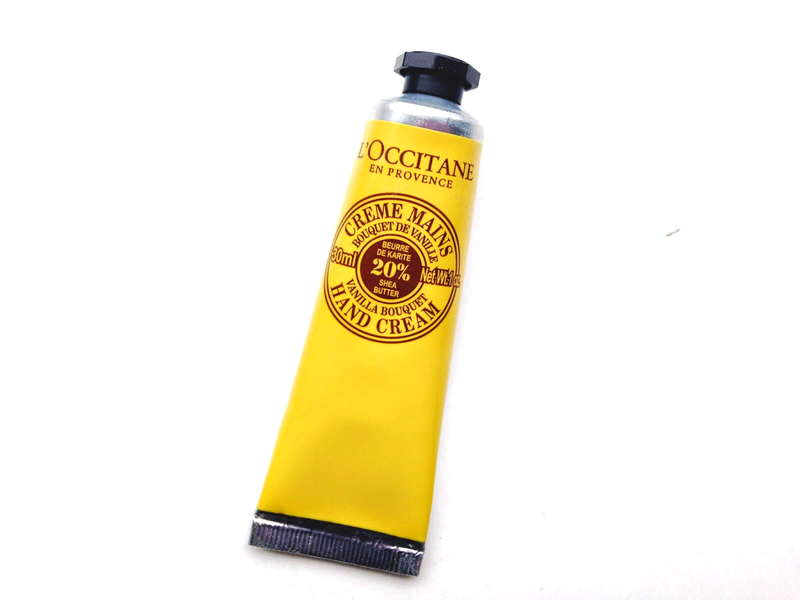 The L'Occitane Vanilla Bouquet Hand Cream has a sweet vanilla scent, which I personally really like as I don't find that it smells artificial or sickly sweet like some other vanilla scented products do. The consistency of the hand cream is quite thick,which means that a small amount of product will go a long way.The formula contains 20% shea butter, which is a fantastic beauty ingredient which helps to protect and nourish the skin. After using this product my hands feel much softer and I definitely think this is going to become one of my go to products for Autumn/Winter. This product can be purchased for £8.00 in L'Occitane stores,online or you could pick up the latest issue of Marie Claire (dated November 2014) for £3.99 and get the hand cream free! This is the first product I've tried from L'Occitane, do you have any L'Occitane product recommendations?